The Labour Party leader's attempt to set out a strategy criticising predatory businesses has been given the thumbs down by some in the business and tech world. Yesterday in his speech to the Labour Party conference in Liverpool, Ed Miliband attacked 'predatory' businesses and called for more support. The Labour Party leader's attempt to set out a strategy criticising predatory businesses has been given the thumbs down by some in the business and tech world. 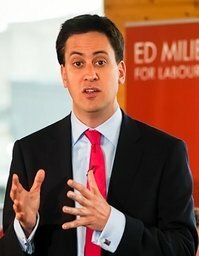 Yesterday in his speech to the Labour Party conference in Liverpool, Ed Miliband attacked 'predatory' businesses and called for more support for those firms that were trying to build growth organically. He said that the country had been undermined by asset strippers and those on the hunt for a quick buck. But on BBC Radio 4 this morning, Autonomy CEO Mike Lynch criticised this view, which he said was too simplistic because it was not black and white in discerning who was good and bad in business. He used the example of incubator programmes to help start-ups, arguing that because they were technically venture capital they could be classed as predatory under the Miliband approach. As a result some desired investment in the future of high-tech start-ups would be in the firing line under a Miliband strategy. Lynch's criticism came after Digby Jones, former trade minister and head of the CBI, described the speech as an attack on hard working businesses. He was reported to have described a strategy to try and split between good business and predatory as divisive and unhelpful in the current economic situation. The current director general of the CBI John Cridland also added his voice to the growing reaction saying the view of swathes of asset strippers was not a picture of business in Britain that he recognised.